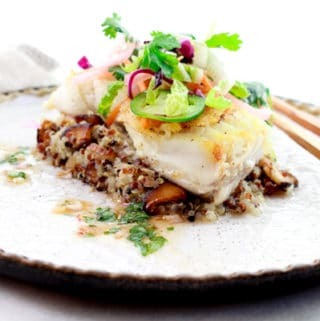 Last Updated: April 17, 2019 · Published: July 30, 2018 By: Asian Caucasian Leave a Comment This post may contain affiliate links or sponsored content. 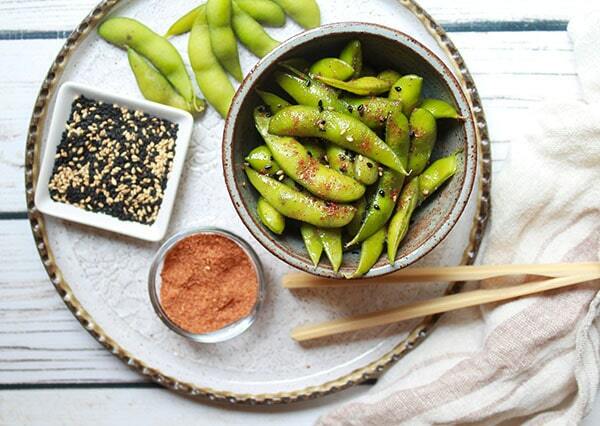 We’ve taken the easiest snack on the planet to a new level –> Edamame with a kick! 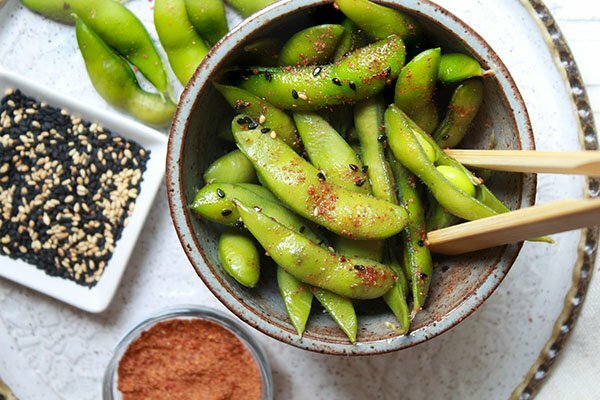 These Spicy Edamame pods are so addictive (like they weren’t addictive already?)! I’m actually sitting here eating a bowl full. I’m not one to turn down spice so these really hit the spot! 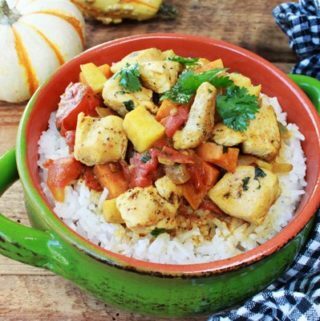 They couldn’t be easier to make and just require a few ingredients. You can pick up a bag of frozen edamame just about anywhere these days. I get mine at Trader Joe’s (my go-to store), but I’ve seen them in every grocery store. 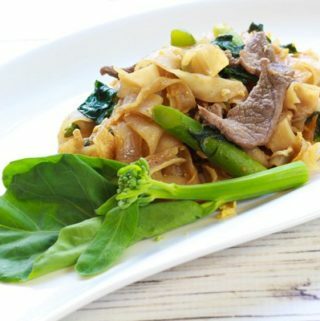 This recipe works well with the edamame still in the shell. The sriracha seasoning adheres to the pods because of the sesame oil. You can eat the whole bag and really not feel guilty. Edamame pods are gluten-free, super healthy, and loaded with nutrients. 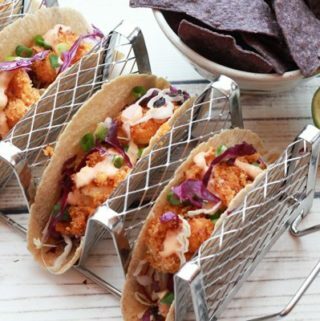 So grab a bag of edamame, boil some water, go to town and add sriracha seasoning or whatever spices float your boat! 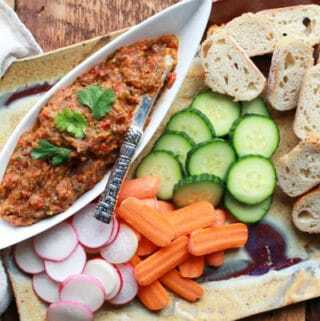 If you’re craving a super quick and healthy snack with a kick, then this Spicy Edamame with sriracha seasoning is definitely calling your name! 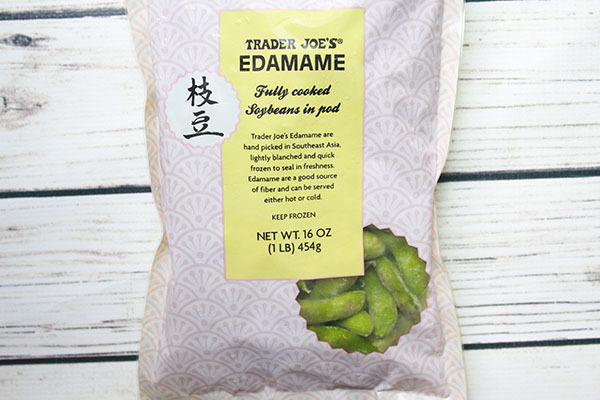 I get my frozen edamame at Trader Joe’s, but they’re now available just about everywhere! Pick up a 16-ounce bag at your local grocery store! Edamame is the easiest snack on the planet. Just boil the edamame pods for about 5 minutes. That’s it! 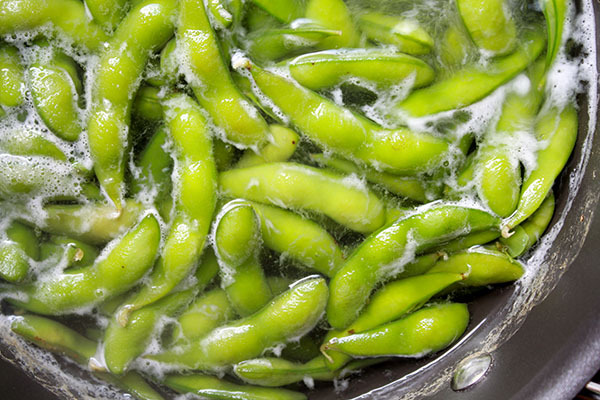 Drain the edamame before you toss in all of the other ingredients. 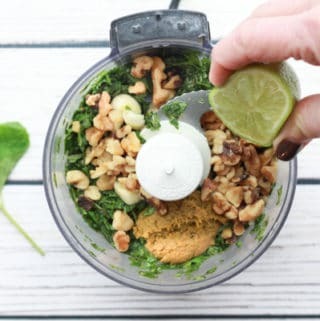 Such an easy snack and so healthy too! Oh, and I used my awesome Anolon 4.5-quart saucepot to boil the water and cook the edamame to perfection! Isn’t this the most beautiful Spicy Edamame you’ve ever seen? 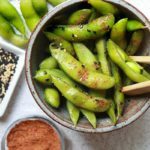 I could eat an entire bag of this edamame with this recipe! 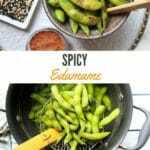 Spice up your edamame with just a few ingredients! 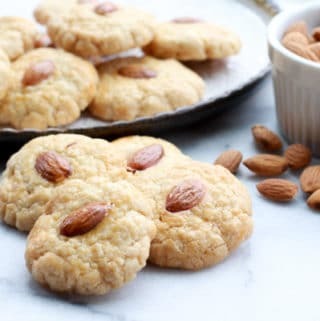 This healthy, low calorie snack is ready in no time! 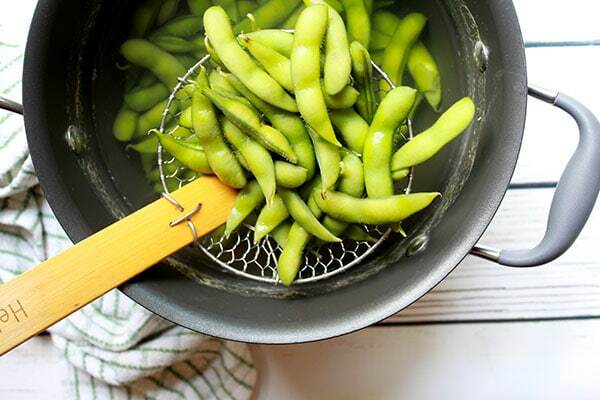 Bring a large pot of water to a boil and add in the edamame pods. Boil for 4 to 5 minutes or until just tender. 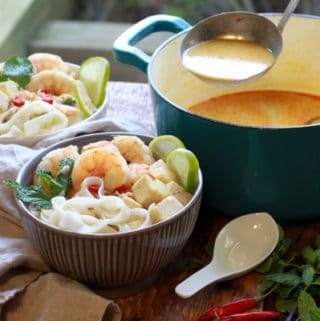 Drain in a colander and place in a large mixing bowl. Toss the edamame with the sesame oil. Sprinkle in the sriracha seasoning, salt, and toasted sesame seeds. 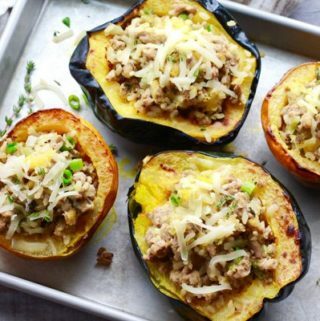 Serve warm as a snack or side. 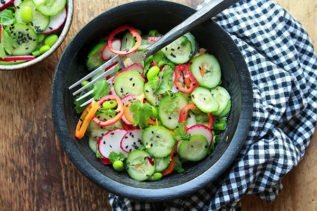 If you liked this recipe, try our Asian Cucumber Salad.